Pepe Urquijo is a filmmaker who studied at San Francisco State University. His films represent the day-to-day challenges and struggles that face California's Latino communities, and have screened at festivals all over the United States, and in Mexico, Central and South America. Recently, Urquijo was nominated for a James D. Phelan Art Award. At the same time, he successfully participated in Film Independent's Project:Involve and became a P.I. Fellow. In 2005 Pepe received a Rockefeller Media Fellowship for his new documentary Aztlán's Bandido. In 2004 he was honored as Independent Filmmaker of the Year from the Arizona International Film Festival in Tucson. His films have received numerous awards, including a Golden Gate Award for Best Bay Area Documentary from the San Francisco International Film Festival. Since the late 1990's he has worked with scores of inner city youth from Oakland to San Francisco and produced hundreds of youth-made short films. Pepe also moonlights as an instructor for the Center for Digital Storytelling. 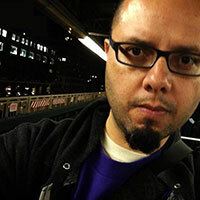 In addition to teaching and making his own films, he often curates films for festivals or galleries and has been the voice behind Truly CA and the non-credited narrator of the Nuestra Familia Our Family documentary.